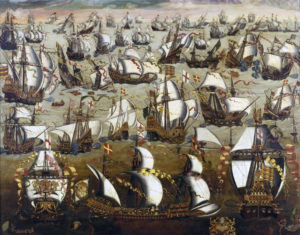 The defeat of Spanish Armada: At this point, the English ships were more in number than the Spanish ships while the Spanish ships had more gun power. The Spanish Armada had set out late into the sea than expected to owe to the bad weather conditions. It was in July that the Armada was visible near St Michael’s Mount in Cornwall. The next night of the Armada coming within sight, English ships attacked. In this attack, two of the Spanish ships, Rosario and San Salvador had to be abandoned owing to the damage caused to them. This benefited the English as they seized the ships and took possession of the gunpowder left by the Spanish. The Armada had taken protection at the Isle of Wight but soon Martin Frobisher and Drake started to close in. 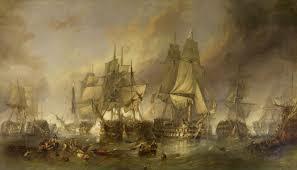 The Armada had to leave the Isle and it reached Calais on 27th July. 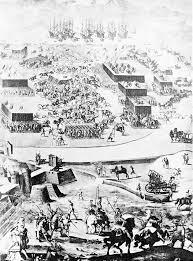 The battle of Gravelines was fought near the port of Gravelines which was easily accessible to Spain. By this time the English were well informed about the Armada and its shortcomings. The English ships bombarded the Spanish Armada and other small ships with gunpowder thus causing them losses. 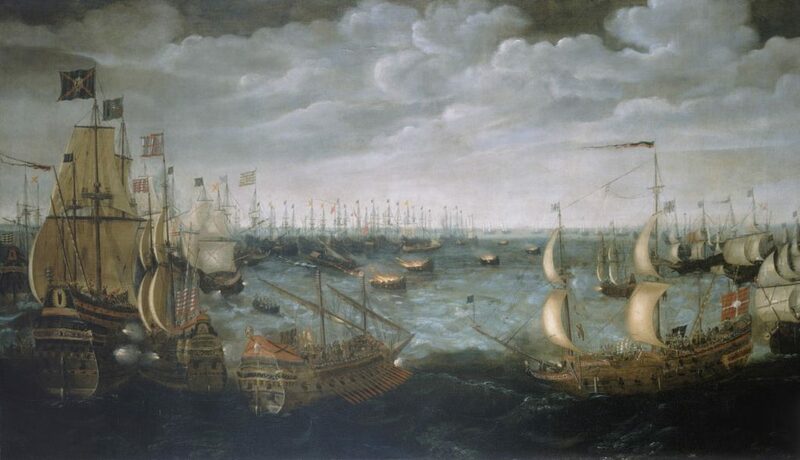 The English troops were successful in preventing the Armada to re-group with other Spanish ships. By August, the Spanish troops were battling with hunger, thirst and they all were exhausted. Medina was forced to think of some way to reach Spain they were no longer in the position to hold ground against the English ships. It was in September 1588 that the Armada reached the North Atlantic via Scotland and Ireland. It was believed that more than half the men that had started their journey on the Armada never returned home. Spain had received a huge setback in this battle with only 67 ships and around ten thousand men safely returning home. Many people in Spain had blamed Medina for their humiliating defeat. As compared to Spain, England suffered fewer losses during the war. After the battle, many men died of dysentery, typhus, and hunger. These soldiers were not even given their pay for their contribution to the Defeat of Spanish Armada. The victory of England over Spain is a very famous event in English history since England was successful in defeating a powerful country like Spain. Sir Francis Drake was regarded as a hero for his role in the Spanish Armada. In Spain, he was looked upon as a pirate. It can be said that one of the major drawbacks for the defeat of the Armada was the lack of organization of the Armada. In fact, many of the merchant ships were converted into naval ships. Some reasons that can be said helped the English win was that they made good use of small and fast ships, their strategy of sinking the Spanish ships was well executed. The main reason why England won was that Spain did not have a full-proof plan with almost any scope for errors and finally the manner of executing their attack was wrong.